Red Blue Jaeger Rope Dog Leash. 8ft length, worn over the shoulder when hiking or jogging with large dogs. Jaeger Handsfree Rope Dog Leash is an over the shoulder leash for hiking with medium to extra large dogs. This style rope leash allows some handsfree use when hiking or jogging and still maintain control of your dog. The Jaeger Leash is based on a European and German leash design, its been Americanized with climbing rope and carabiner options. 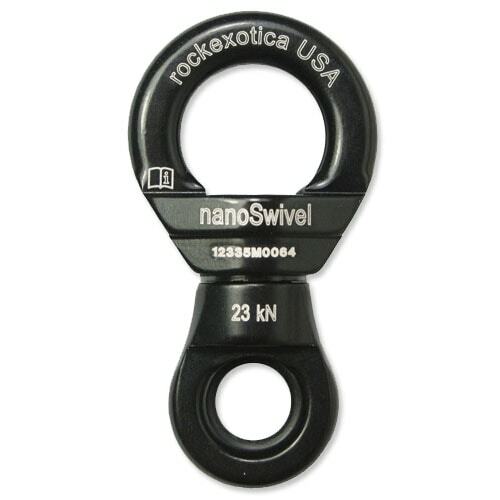 Built with 8 feet of CE rated mountain climbing rope and equipped with two 3.5″ marine grade 316 stainless steel clips with 180lb working load; the two welded 1 inch stainless steel O rings have an 800lb working load ensuring that they are safe and secure. The first welded O ring is fixed in place at the dogs end, and the second is adjustable on the main lead. A custom stop made from mil spec type lll 500 para cord (breaking load 500lb) allows the second O ring to be positioned anywhere on the main lead. The position of the second O ring helps fit the leash to the handler and determines how much lead is given to the dog. The clip on the handlers end goes over the shoulder and under the opposite arm clipping into one of the two O rings on the main lead. Use the Jaeger Handsfree Rope Dog Leash for hiking, trail running or jogging with your Big Dog. A variety of colors are available and listed in the drop down menu. Please contact us if you don’t see what you want. Custom lengths are available but most find the standard 8ft length is ideal. Glacier Jaeger Rope Dog Leash with Carabiner Swivel and Quick Disconnect. 8ft Jaeger Handsfree Rope Dog Leash built with Climbing Rope and Stainless Steel Clips. 8ft is the traditional length for this style leash. Some prefer the shorter length when used with a coupler. If used with our double dog coupler, the jaeger lead requires a carabiner and swivel option on the dogs end of the lead. The standard stainless steel clip will not fit our double dog coupler. To customize this leash select from the options in the drop down menus. 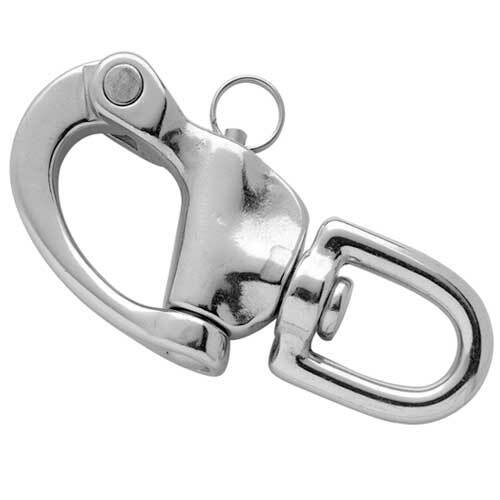 This option replaces the two marine grade stainless steel swivel clips normally installed on the Jaeger with a combination of carabiners, carabiners & stainless steel clip, carabiner & nanoSwivel, or quick release. The optional Power Grip is a single loop handle at the dogs end of the Jaeger leash. This works great when you need added control of your dog. • Length: 8 feet – Custom lengths available. • Snap Hook Material:3.5 inch/89mm – Marine Grade Stainless Steel. • O-rings: Two – 1 inch welded Stainless Steel. One fixed, second floating on main lead with adjustable paracord keeper. • Paracord Keeper: 500lb 5 strand US Mil Spec paracord. I just received my Forest Camo jaeger lead today, and it is exactly what I hoped for in craftmanship and utility. I have had my Jaeger Lead from MyDogsCool for almost two years and it is an excellent, well crafted, durable product using quality materials. I recommend their products highly and when and if I need another lead, will start my search here. Regarding Jaeger Leads in general, If you have a well trained, obedient, heeling dog, you should seriously consider using one - it allows hands-free walking while maintaining control (grab the lead if needed). I have a Deutsch Kurzhaar and had never seen Jaeger Leads until I started training with other DK owners - as the name suggests, the lead is more common in Germany. I had only seen leather Jaeger Leads (and knew I did not want leather) except for one an owner made himself from a thick rope commonly used for horse gear, so I searched the internet and found MyDogsCool. I ordered the carabiners on both ends and love the product. I don't think a "power grip" was an option when I ordered - I think that would be a great addition - when I do grab the lead for control, I usually grab at the carabiner, so having this "power grip" there would be great. My lead did not come with the fixed o-ring at the dog's end - probably because I got the carabiner upgrade, but I was expecting it to have this and at the time I thought would have liked to have this, though thinking now, I don't have a specific application to cite. Thanks so much for the review, and opinions. They are both appreciated, and helpful. Its awesome to hear back from customers that have had time to put some wear and tear on their custom dog leash, and share their opinion on our product. Thanks again!! 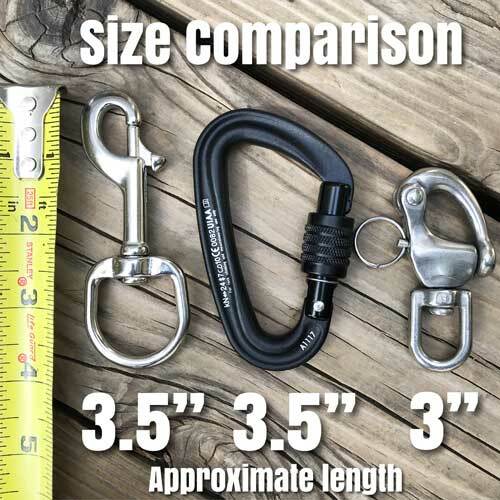 I've purchased two of these leashes for my Bernese Mountain dog, one for every day walks, another for hiking. They are amazing leashes with top-notch materials and craftsmanship. 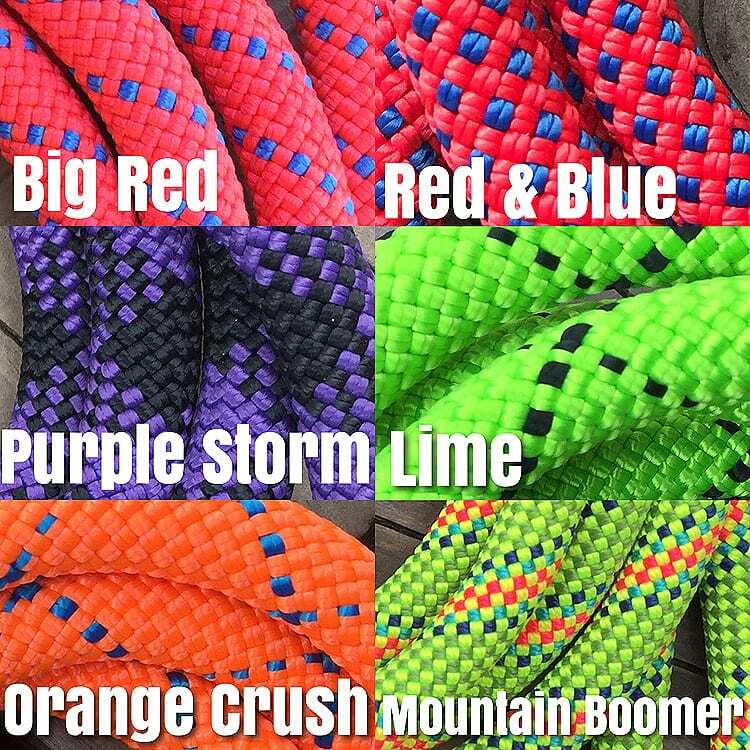 I'm really impressed with these leashes and would recommend them in a heartbeat. Thanks Anh! We're glad to hear you're impressed with the custom dog leash. We like to hear that! Hiking with your big dog is exactly what the Jaeger leash was intended for. We hope you, and your mountain dog make good use of the leash. Thanks again! My wife and I just got back from our first walk with both the Jaeger leash and the Ultimate leash and I cannot recommend these products more highly. In particular, the Jaeger was great with our just-rescued 140+ pound Great Pyrenees, Max. Max is still figuring out walking on leash, and the Jaeger provided great control during those "Squirrel!" moments that used to threaten rotator cuffs. Both products are built like the proverbial brick outhouse - top notch materials and construction. From first ordering to the first walk took about a week, as advertised. The website is also right on about the length; 8 ft. worked well for me and I shop big AND tall. And the climbing rope is just awfully cool. If you are looking for a great piece of kit for walking your beastie, then break out the plastic because you are in the right place. After an exchange of several emails with Josh I ordered the Jaeger Lead in Pacific Blue. Less than 48 hours later, when I was expecting a shipping confirmation, I received a box from mydogscool.com with my Jaeger Lead!! I was expecting a top shelf lead made from top of the line materials...I was not disappointed! As a retired firefighter/paramedic I am accustomed to working with equipment that inspires confidence when failure is not an option. This lead inspires such confidence. Functional, simple to use, high quality materials, responsive customer service, and made in the USA! Looking forward to showing off the lead. Thanks Josh.